The Colorado Springs Gazette reports the opening of a new assisted living center and five more scheduled to open by the middle of 2014. The already open community, Point of the Pines Gardens, accepts Medicaid while the others still being built do not. The new communities are targeting middle class residents who will be paying privately. The new construction when completed, will increase the number of assisted living units in the city by 25%. The paper reports some of the projects stopped construction during the stock market crash in 2008. The reduction in housing prices caused by the crash limited the ability for many to consider moving into an assisted living facility. The sale of a house is the primary source of funding for seniors in private housing. Now, as housing prices rise in Colorado Springs, pent-up demand is pushing occupancy rates to capacity, market analysts say. Six new buildings with 400 new units sounds impressive but even with the new additions, the total number will only be 2,000. 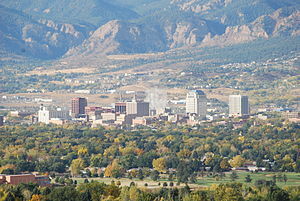 Colorado Springs is home to 426,000 people according to the latest census, with 10.9% of those people older than 65. The median family household is nearly identical to the rest of the United States (53k vs 52k) but veterans are a lot more prominent proportionately (12% vs 7%). Veterans are eligible for long-term care benefits that will pay senior housing companies directly, making them attractive prospects. « Why Do Senior Housing Providers Sell their Real Estate?